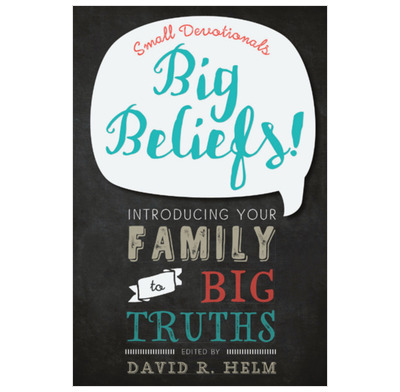 A family devotional teaching the most important truths in the world in simple bite-size chunks with up-to-date illustrations and stimulating questions. Big Beliefs! is a devotional expressly intended to enable parents to succeed and children to grow in grace and knowledge. Three weekly readings accompanied by suggested Scripture passages introduce and simply explain thirty-three key theological concepts found in the Westminster Confession of Faith (included in its entirety, in modern English). Questions following each reading will help you to start a conversation about what you have learned each day. This non-threatening, encouraging devotional will make a comprehensive beginning to your child’s understanding of Christianity’s big beliefs.